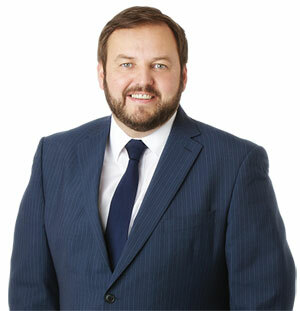 Pádraig Mac Lochlainn is a Senator, former TD having served as Sinn Féin's 26 County spokesperson on Justice, Equality and Defence and Chairperson of the Oireachtas Public Services Oversight and Petitions Committee. Prior to being elected to the Dáil in Febuary 2011, he had served for many years on Donegal County Council and Buncrana Town Council. In the 2004 and 2009 local elections, he was elected to represent the people of Inishowen on Donegal County Council and in those elections; he was also elected to Buncrana Town Council. Pádraig had been co-opted on to Buncrana Town Council in January 2002. He has twice served as Mayor of Buncrana in 2005/2006 and 2010/2011 and has served once as Deputy Mayor of Donegal 2010/2011. Prior to serving as a public representative, he was a community activist and campaigner, locally and nationally. He acted as the Donegal spokesperson for the Irish National Organisation of the Unemployed (INOU) from 1997 to 2001. He also served on the INOU National Executive from 1997 until 2000 as well as representing the organisation on the National Rural Development Forum. At local level, he was a community director on the Inishowen Partnership Board for 5 years from 1996 to 2001. He was appointed to the board of InterTradeIreland, the Trade and Business Development Body in December 2007 and served on the board up until March 2011. He was the Director of Sinn Féin's successful campaign against the Lisbon Treaty in 2008. He has served as Chairperson of his party's National Councillors Forum (NCF) and serves on the Sinn Féin Ard Comhairle (National Executive).